← Sustainable Economic Development for Southwest Virginia? The sign aspect ratio is being changed to present a more pleasing shape and allow for more variations in design. A photo album of early entries has been added. 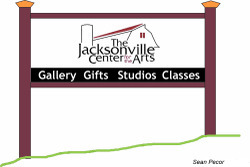 Go to Jacksonville Center Online for more details. You still have time to submit your own designs and win art classes worth hundreds of dollars. You may submit as many designs as you wish. This contest is open to anyone who wishes to enter. UPDATE: Kudos to Sean Pecor. He sent in a sign design based on the new aspect ratio before I had time to clean up my email. I am showing it here to encourage you to do some of the same. Note to readers: My new position at the Jacksonville Center in Floyd gives me the opportunity of a lifetime. I get to work with dedicated and creative people and one of the long term objectives is to help the local economy by enabling artists, craftspeople and musicians to develop viable businesses. 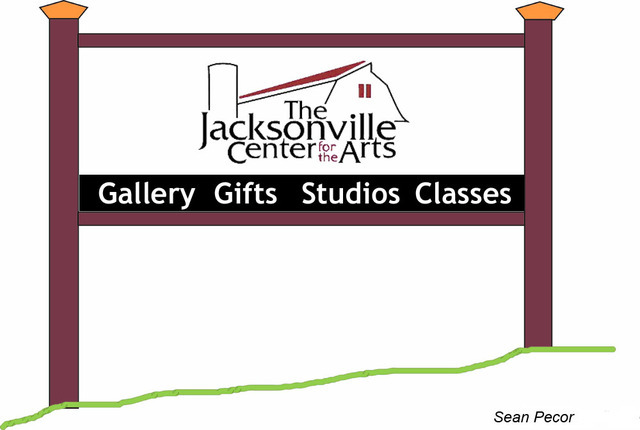 To see what all the excitement is about, go to The Jacksonville Center website. 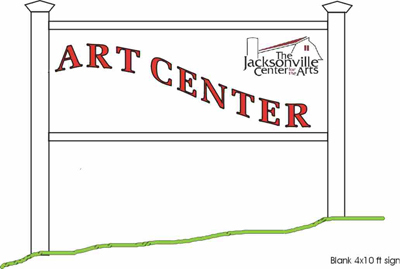 This entry was posted in Jacksonville Center. Bookmark the permalink.